Gerald of Wales was born in about 1147 at Mamobier Castle, Pembrokeshire. His father was a Norman knight, and his mother a Welsh princess. After his studies he became a teacher in Paris. Later he was appointed Court Chaplain to King Henry II. In 1185 Henry ordered Gerald to accompany Prince John to Ireland. 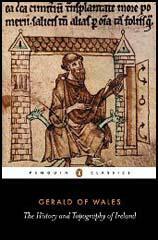 He wrote about these experiences in his books, The Topography of Ireland and The Conquest of Ireland. Gerald was particularly interested in the military tactics used by both sides. Although Gerald was critical of the Irish his book shows concern for the way they were treated by John's army. 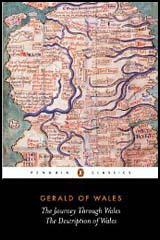 Gerald also showed considerable sympathy for the Welsh in his book Description of Wales. In 1198 Gerald was elected as bishop of St. David's in Wales. However, Richard the Lionheart's officials, aware of Gerald's pro-Welsh opinions, did not allow him to take up the post. Gerald was offered several senior church posts in England but he refused and spent the rest of his life writing books. These included Concerning the Instruction of a Prince, a book that was highly critical of Henry II, Richard the Lionheart and King John. 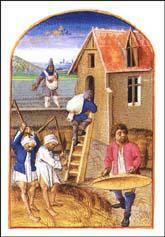 Gerald of Wales died in about 1223. The island of Anglesey... produces far more grain than any other part of Wales. In the Welsh language it has always been called "Mon Mam Cymru", which means "Mona the Mother of Wales". When crops have failed in all other regions, this island, from the richness of its soil and its abundant produce, has been able to supply all Wales.